The evolution of the world’s most popular stand alone digital O2 sensor controller, the Innovate Motorsports MTX-L builds upon the legacy of the XD-16 by adding simplicity and leading edge technology. 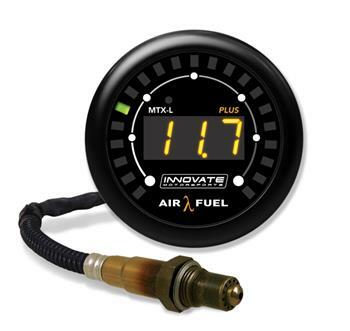 The MTX-L utilizes 100% digital wideband air/fuel ratio technology. The MTX-L’s patented award-winning DirectDigital signal processing technology provides data on exactly how rich or lean an engine is running at any load. The MTX-L’s self-calibrating circuitry also compensates for changes in temperature, altitude, and sensor condition. The MTX-L includes a digital input/output, 2 full-programmable analog outputs, and is ideal for applications such as dynamometers, data acquisition systems, standalone ECUs, and gauges.